Congratulations to these FFA members for capturing sub-district (sectional crown) in the FFA job interview CDE. 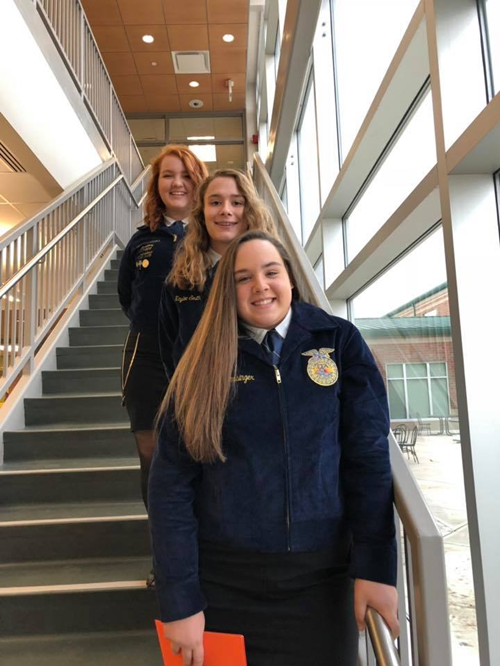 Scores from their divisions at sub-districts are Mikayla Persinger - 1st (freshman level), Kaylee Smith - 1st (sophomore level), Audra Adams - 2nd (senior level)! They advance to districts next week.